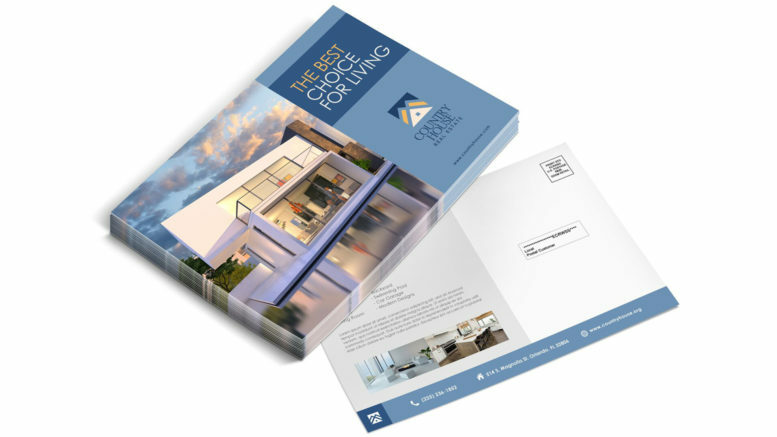 Companies have launched postcard marketing practices to increase leads and sales. Although it has been effective in gaining new customers for different businesses, you, as an aspiring business owner, eventually need to freshen up your approach towards postcard marketing. Below are time-tested and essential practices to implement on your postcard marketing, as well as new ideas to provide you with a different perspective on how you could market your business using these cards. What to put on your postcard marketing? The images and colors of your postcard should work in unison to achieve the same goal, which is to draw the attention of your market into reading your postcards more closely. Just like what honey is to bees, your postcards must stimulate on-lookers visually and emotionally to capture their interests to your print media of choice. Also, appropriate your theme according to the industry you’re involved in – restaurant owners would create postcard designs that allude to the kitchen by including cooking wares, as well as colors that stimulate the appetite such as red. If you are a professional photographer, sell your services using postcard marketing. Take the best photo you’ve taken thus far that embodies your entire work and use it as postcard design. If you plan on using your other photos as design for your postcard, track down how many people you have converted with each postcard you’ve sent or handed out. Your physical address, telephone number, website, or email address should serve as the call to action of your postcard. If people like what they see on your postcards, there’s a great chance that they’ll visit your store, shoot you an e-mail, or give you a call. Be aware that you don’t have to be too forward in presenting your contact information on your postcard – as long as they can be used within your postcard design, it should be enough to encourage your readers to follow through with your call to action. What’s on the back of postcards? 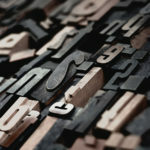 The back is what makes postcards, unlike any other print media. Whereas brochures or catalogs must be mailed inside envelopes, postcards can be sent out without one because their backs provide the space for the mailing address and postage. Click here to learn the specifics. However, this should not discourage you from designing the back of your postcards. 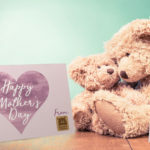 Although you have to leave blank spaces for the indicia and the address to be included for mailing purposes, it is fully recommended that your postcard design should extend to the back. You may write compelling copy to increase follow-through rate of people to your call to action or attractive design to increase the appeal of your cards. How to market your postcards? Postcard marketing is all about maximizing the most effective channels allowing you to distribute postcards to your target audience. Doing so will effectively spread your marketing message to interested parties, who will then act upon the call to action of your postcard. 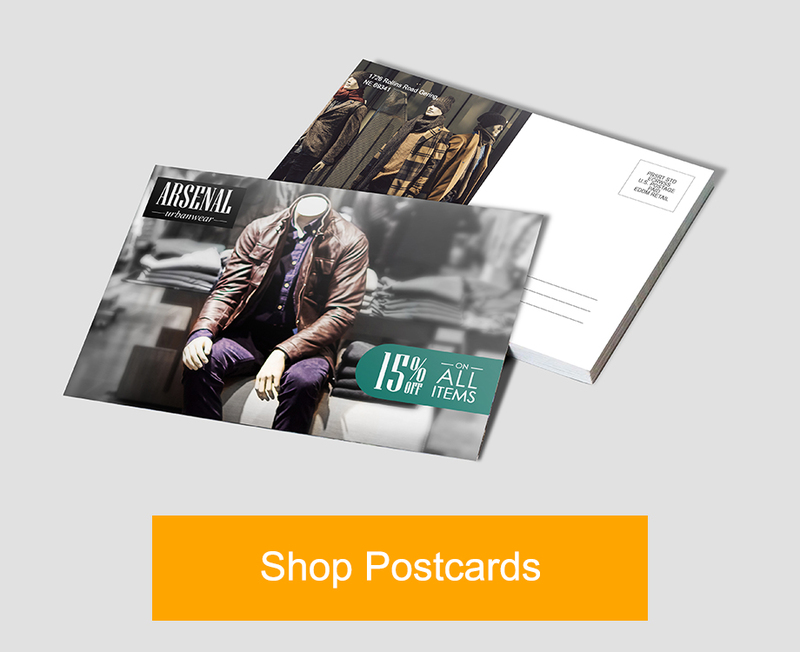 Below are some of the more popular ways of marketing your business using postcards. 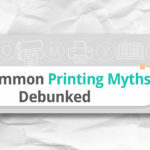 A distinct advantage of postcards, or any print media used for mailing purposes, is how they are sent straight to the homes of your target market. Therefore, you won’t have to worry that you’re giving or handing out postcards to the wrong crowd, assuming that you have developed or purchased a mailing list with your correct demographics for a highly-targeted direct mail campaign. Once you have your postcards in tow, display them at points of purchase in your store. You can either give them away for free or sell each at a nominal price. Giving them away is ideal for branding purposes especially if you are managing an upstart business with zero profit. However, since you’re not going to earn from these cards, you have to allot money in your marketing budget for the designing and printing of postcards. The primary reason why people buy postcards is to send them out to their family or friends with their dedications at the back. However, for people to actually purchase your cards before sending them out, come up with the best possible design with your branding on the postcards. Postcards can also become collectibles, especially vintage ones made in the early 1900s. 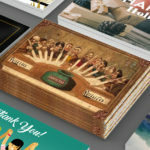 Therefore, come up with a unique marketing strategy by rolling out specially designed postcards to be sold as a collector’s item. Boost the value of the postcards if people are able to complete the entire set. You can reward people with a free product from you if they are able to complete the cards and present it to your store. You can also tie in with thrift shops related to your business and ask them to display your postcards. This allows you to reach out a different market segment or an untapped customer based on your industry and increase your brand visibility.